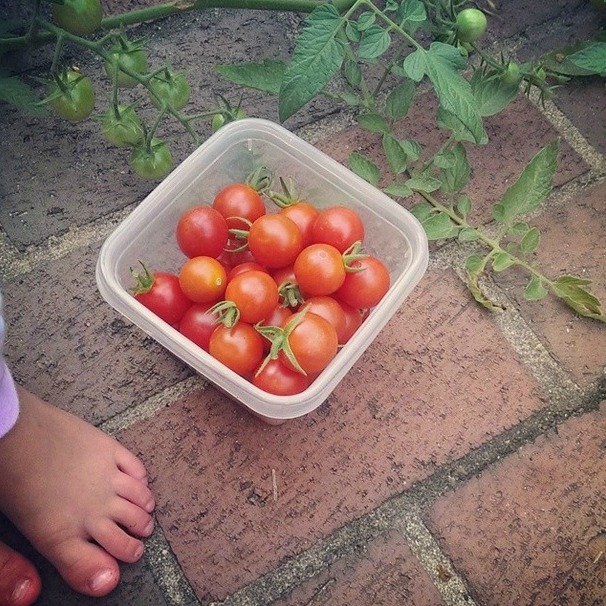 Ahhh, the sound of snapping a tomato off of the vine out of your own garden. From seedlings or small plants to voluptuous, juicy fruits that come in an array of hues, all grown with your help and the kiss of mother nature’s rays. Tomatoes are, by far, one of the most grown fruits during the summer months. Even if you don’t have a garden, per say, you probably have a container on your patio or deck that is set aside for these little jewels. From salad tomatoes, to salsa tomatoes and tomatoes made for canning, your options are virtually endless. So, having said that, we at Fairview Greenhouses and Garden Center have compiled a list of our Top Ten Favorite Tomatoes, many of which you have probably heard of (and a few that may not sound too familiar). We’ve also included some really good bits of advice that will hopefully help you have success with these wonderful summer fruits! Enjoy! 2. BETTER BOY: A great disease resistant tomato. This flavorful tomato will produce fruit in just about any climate, and you can expect your first crop about 75 days after germination. 3. ROMA: This versatile, medium-sized tomato is a must-have for Italian cuisine. Works really well in salsas and makes a great canning tomato, too! in containers, on a patio! 7. SWEET 100: This grape tomato is very sweet (as it’s name suggests) and is great for tossed salads. Produces high yields. 8. EARLY PICK: This plant produces fruit earlier than most other varieties. It has a very solid flesh, as well as a great taste and brilliant red color! 9. BIG BOY: A very sweet, smooth-skinned fruit that can weigh in at over a pound each! Produces high yields and is disease resistant! 10. SUPER SWEET: A great sweet cherry tomato that works well in salads. Produces fruit all summer long in high yields. 1. Give them a lot of sunlight. They need 10-12 hours. 2. Plant the tomato plant deeper than the pot/ground level. You can plant up to the bottom leaves. 3. Once the plant has reached 3’ tall, take some of the bottom leaves off; they are prone to fungal problems. 4. If planting in a garden, plant the tomato plant sideways. Doing so will help support the plant structure and the plant will straighten as it grows. It also encourages root growth. 5. Keep moist and never let dry out. Letting your plant to dry out can cause a lot of problems, especially blossom-end rot. 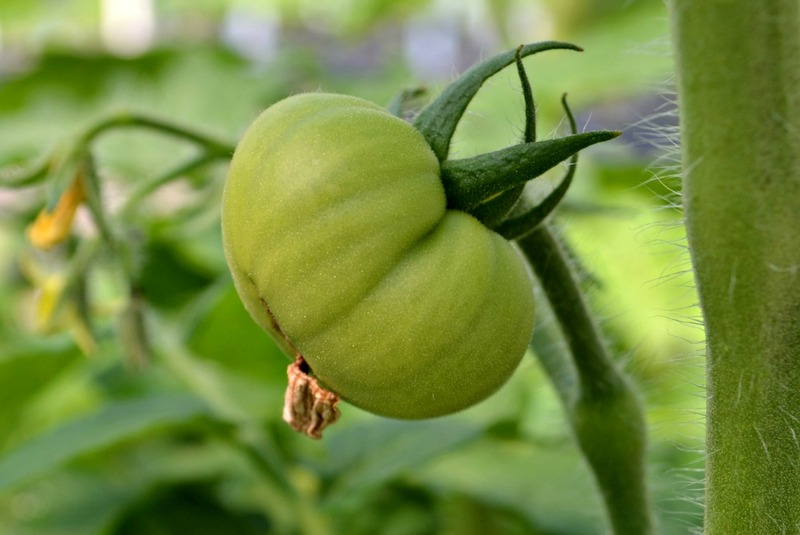 Once spring weather arrives, mulch your tomato plant well to help retain moisture. 6. Tomato plants love soil that is rich in organic matter. So, if you have clay soil, be sure to incorporate a mushroom compost or some dry manure. 7. Add crushed egg shells to your compost mix. Doing so adds calcium to your soil. 8. 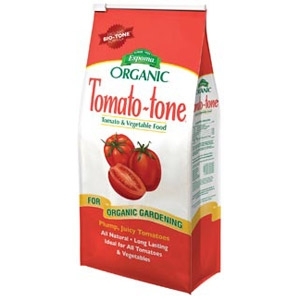 Fertilize with a fertilizer made especially for tomatoes. These types of fertilizer have a higher “middle number,” which is the phosphorus level.